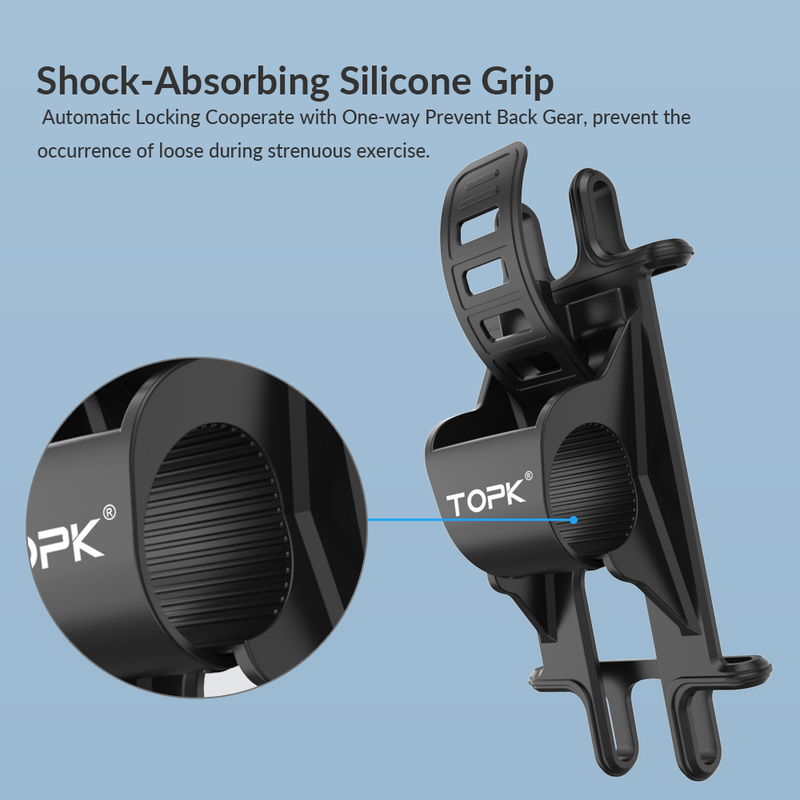 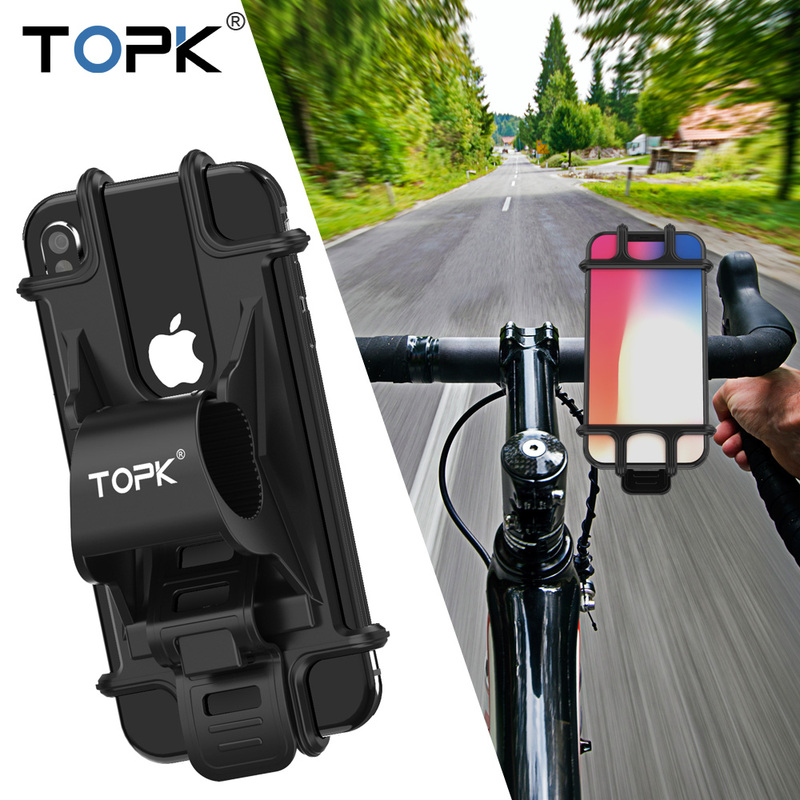 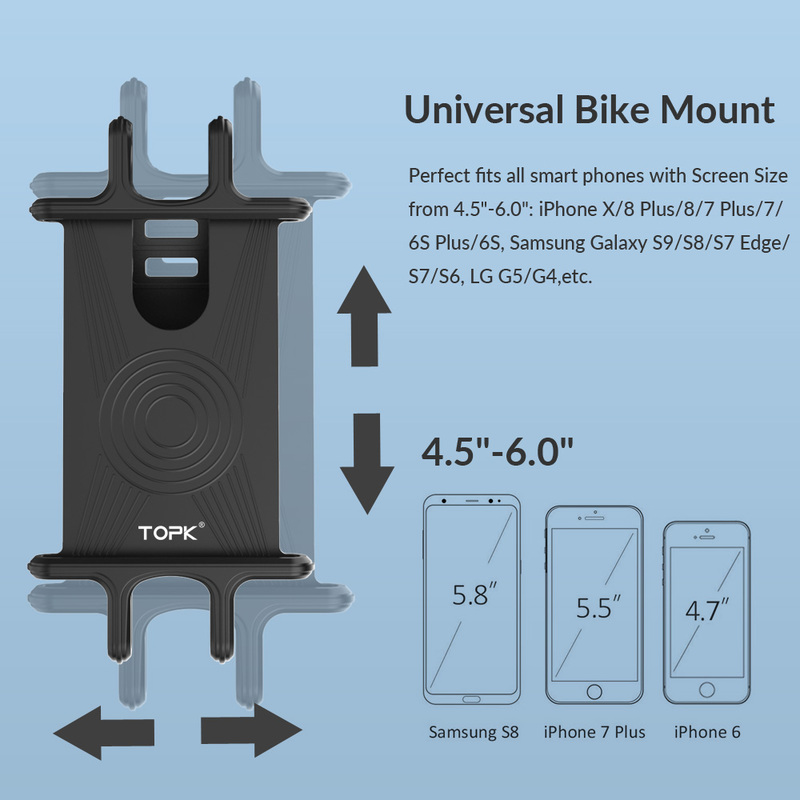 ● Universal Bike Mount: Perfect fits all smart phones with Screen Size from 4.5"-6.0"
● Sturdy & Secure: Made of premium silicone, the flexible phone cradle clamp absorbs all shocks as well as avoids phone surface scratches. 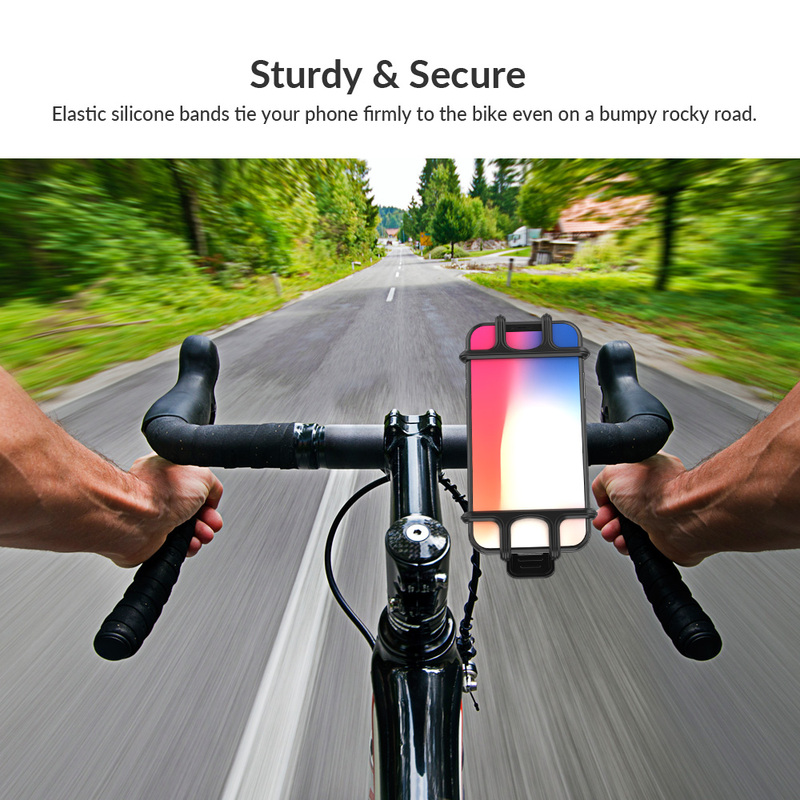 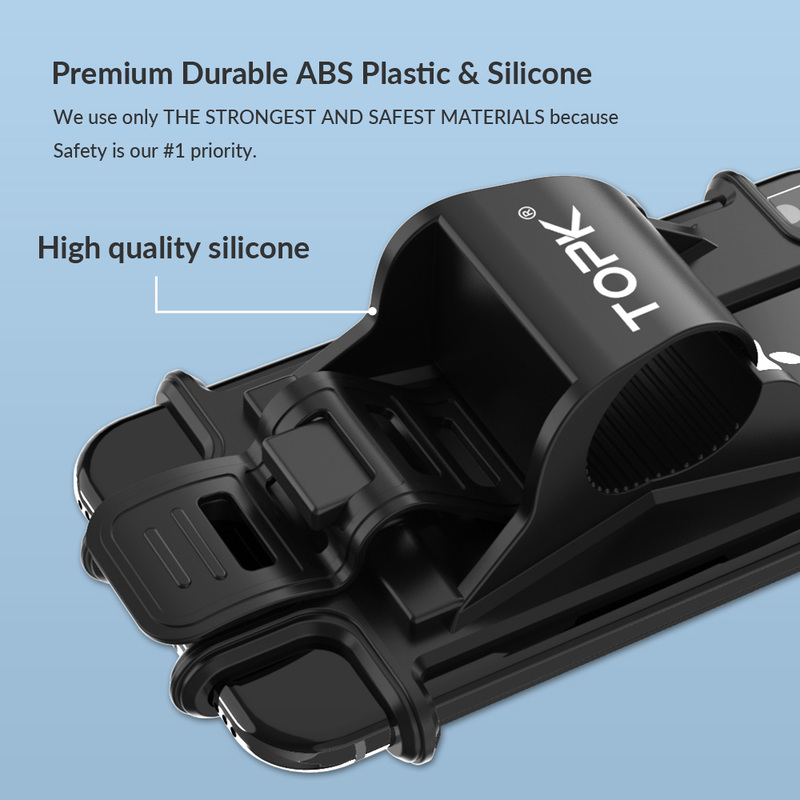 Elastic silicone bands tie your phone firmly to the bike even on a bumpy rocky road. 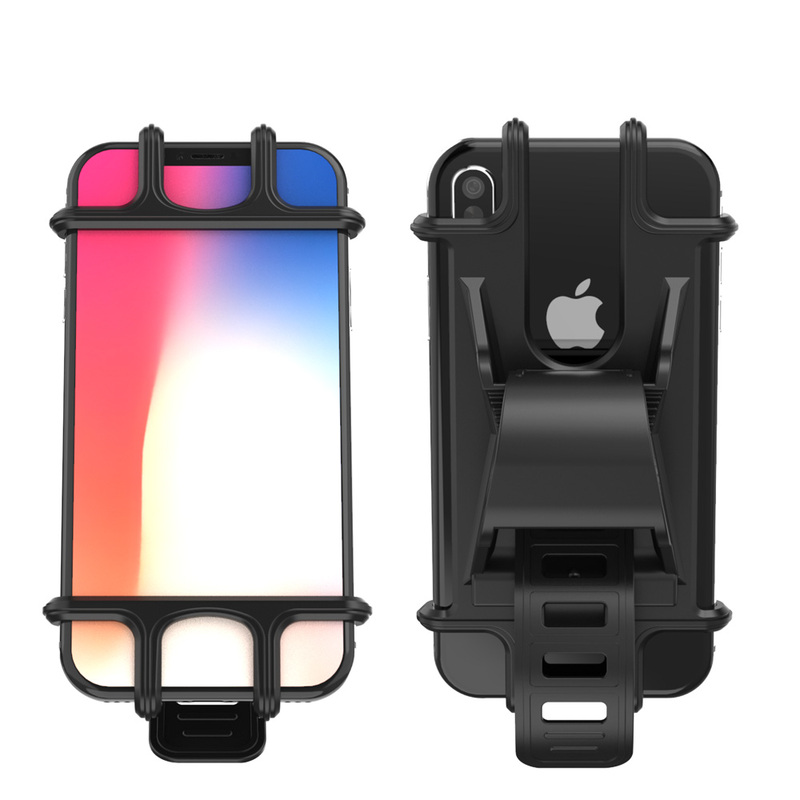 without taking it out from the case. 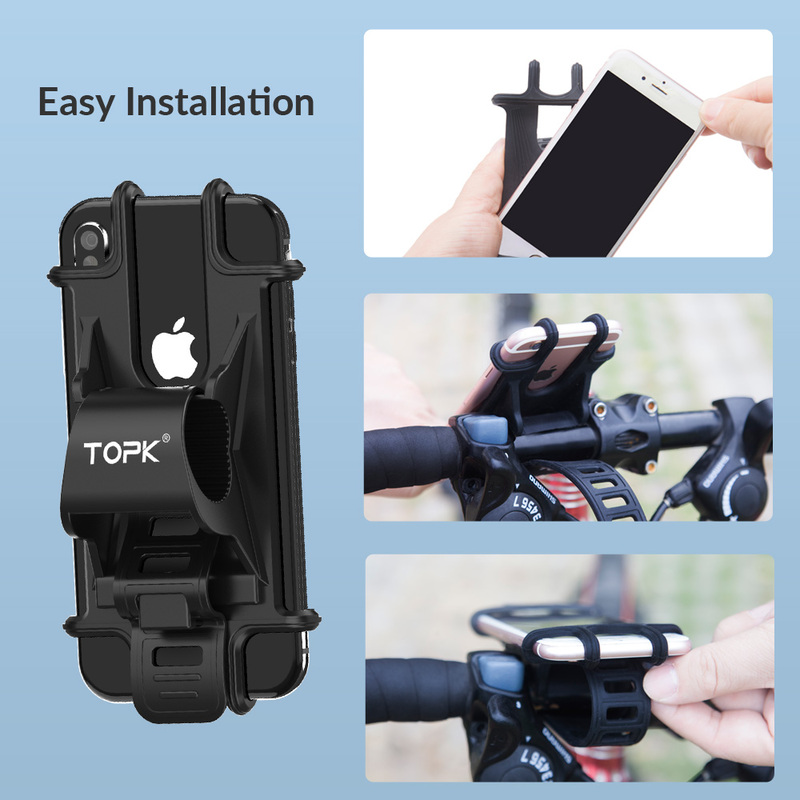 ● Easy to use:Just loop around the mount and insert the tab into the hole that holds onto the handlebar the tightest,and there are 8 adjustment loops.